Start a Search Above If you can't find it just call or email us and will find options for you. If you can't find it just call or email us and we'll find options for you. This 13 oz vinyl banner is a best seller! Whether you’re promoting a big sale or hosting a special event, a custom sign can make all the difference. 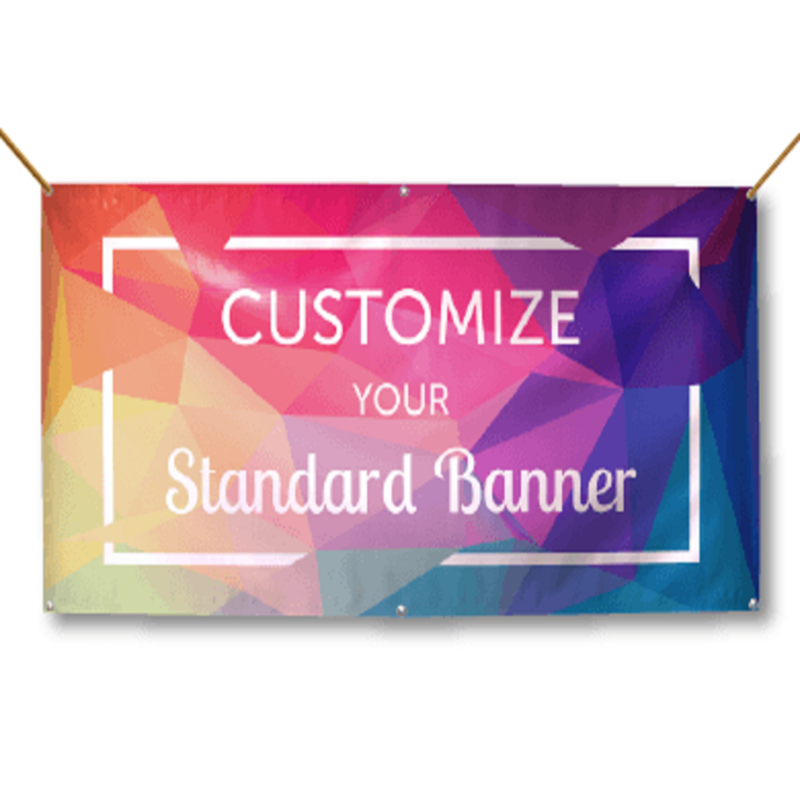 This standard banner is one of the most popular options for personalized signs since you get the benefits of durable, waterproof and fade-resistant vinyl which works great in both indoor or outdoor settings. They also feature vibrant, UV-resistant colors and hems and grommets at no extra charge. It’s a quality, professional-grade product that can be used for just about any party or event. While other printers cut corners to save costs, we understand the importance of a finished product you can feel proud of. That's why we put in the extra work to print the perfect vinyl banner for you. The first part of finishing the banner involves hemming the edge of the banner, which adds strength at the ends of your display. 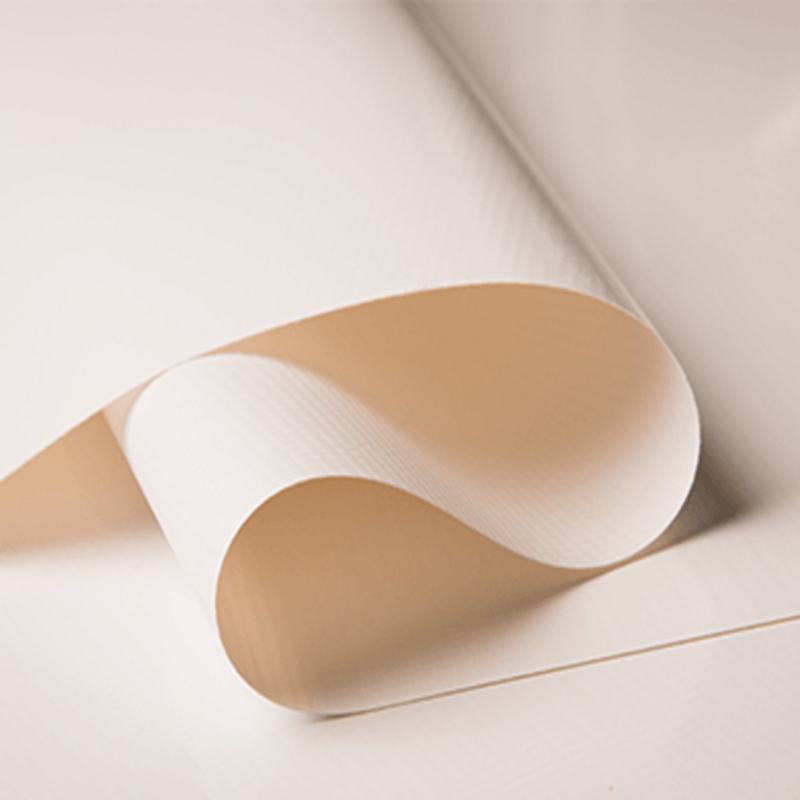 Our hems are all heat welded, which is a special process that heats the vinyl fold to a temperature that fuses the folds into one thicker edge. With this process, you won't have to worry about unraveling threads or folds coming apart. All you get are durable banner edges to fasten grommets. (Grommets are the circular rivets that help support the holes in your banner for hanging purposes.) Pole pockets are also available for some sizes. 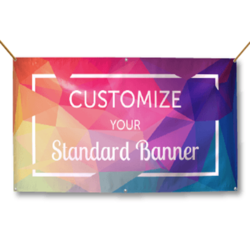 Now that you know a little more about vinyl banners, take a look at all banner options and find the right one for your unique needs! 18 oz Heavy-Duty, Mesh Vinyl, and XL sizes up to 10'x125' are also available! Price includes: Full color print, hems, grommets. 1 imprint color on 1 side. Imprint size: 2 ft high x 4 ft wide. Guaranteed quality, 90 day warranty. Choose "Order Now" to start your order. Submit your order when you have completed your review.